Long after your wedding day, the treasured memories of your special day will remain. 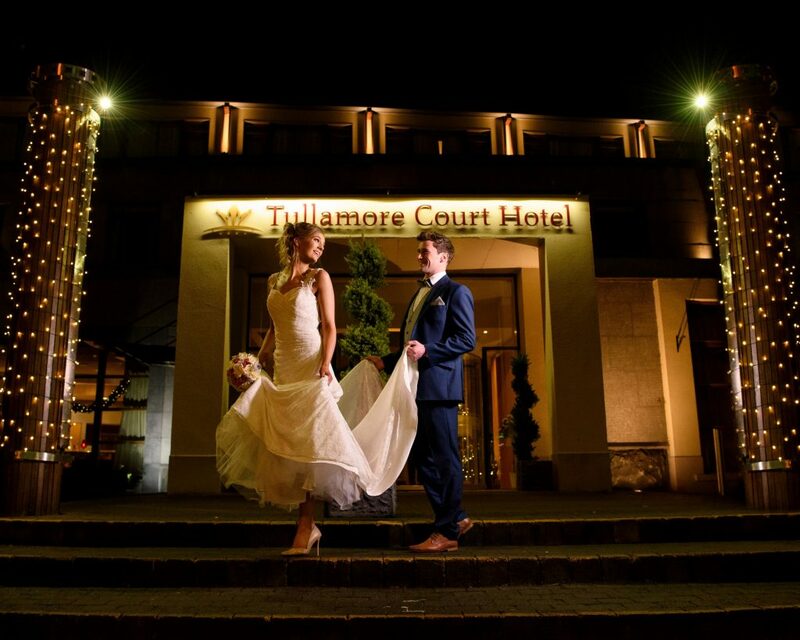 The Tullamore Court Hotel will provide you with the perfect backdrop to these memories; blending modern luxury and traditional hospitality allowing you to relax and enjoy every moment. 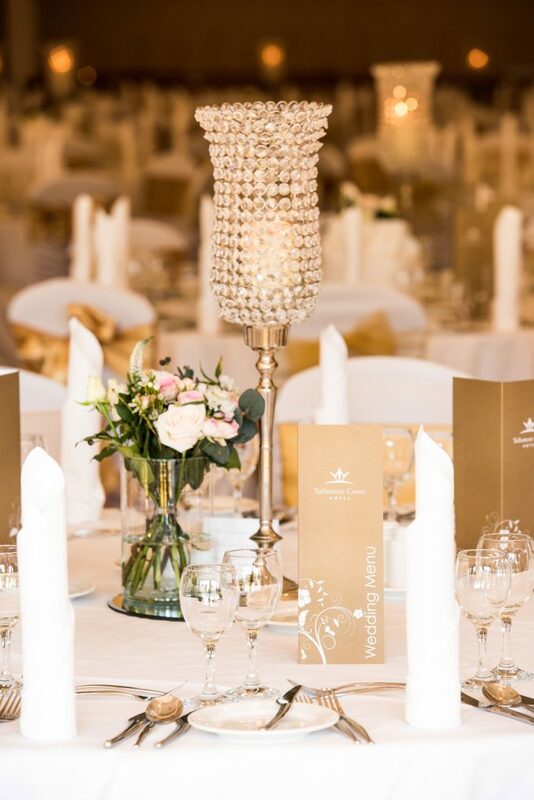 Since hosting their very first wedding in 1997, their experience staff have obtained the skills, expertise and dedication that is sure to exceed your expectations and make your day a magical experience. The Elegant D.E.Williams Suite welcomes weddings from 50-350 guests. 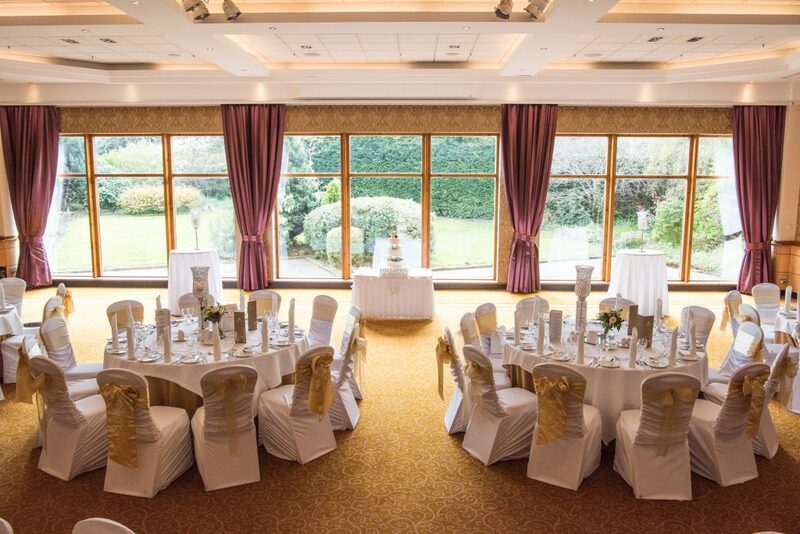 Natural daylight will leave a lasting impression on you, and your guests, with its floor to ceiling windows overlooking their private garden. 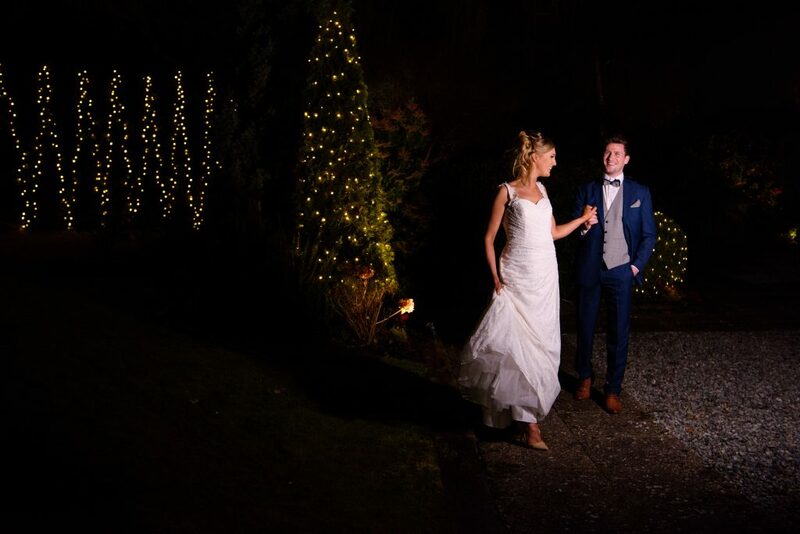 In the evening time, the garden comes to life with twinkling fairy lights ensuring a beautiful focal point throughout your entire day. The suite itself is decorated in gold damask and radiates a rich luxurious elegance. 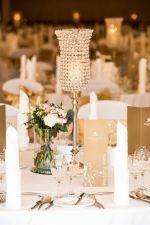 Exquisite white or black chair covers and coloured sashes will add a touch of glamour while their crystal globe centrepieces create a stylish & sophisticated atmosphere. 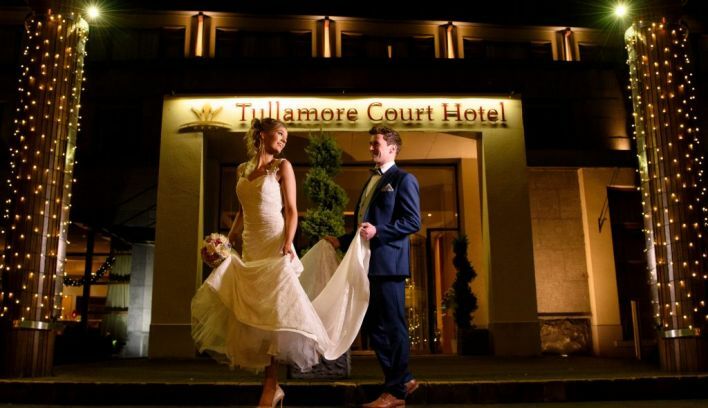 The Tullamore Court Hotel is an approved wedding venue for both civil ceremonies and blessing, allowing you to relax and enjoy your entire day under one roof. 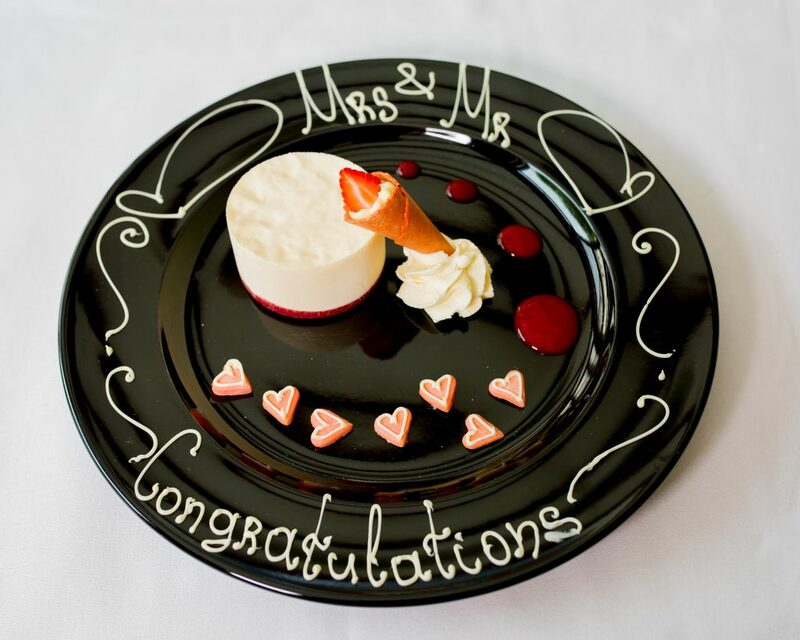 The wedding team pride themselves on designing unique wedding experiences for each couple. 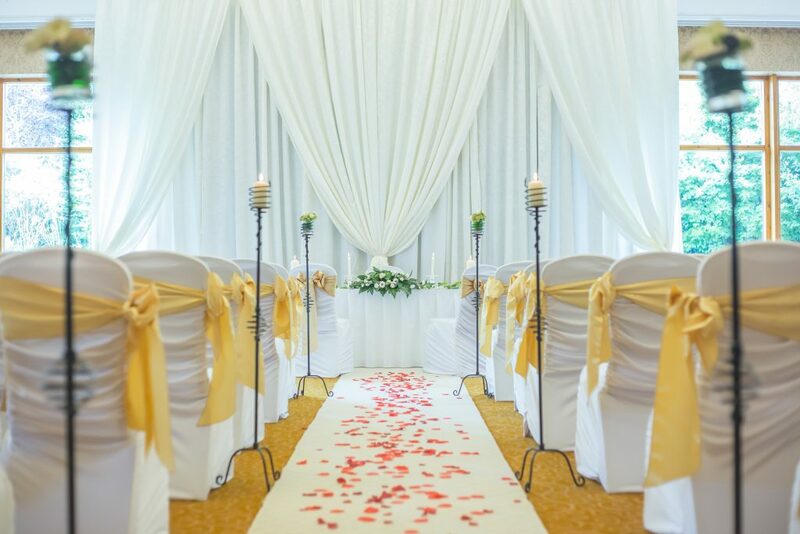 Your room will be tastefully decorated to create a wedding that is a true reflection of you. Your guest can enjoy preferential accommodation rates in their luxurious bedrooms along with ample free car parking and access to their multi-award winning Leisure Centre. 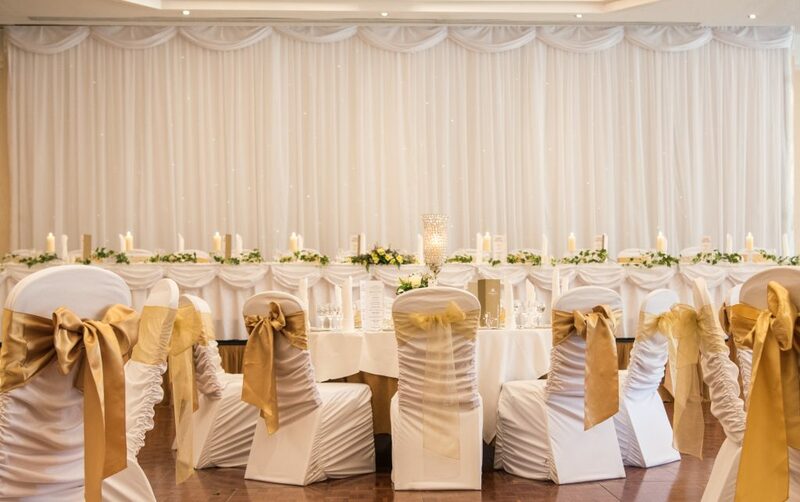 Wedding packages start from €47.50 per person.